One in eight Americans now carry prepaid credit cards, so why is the CFPB getting involved? Overwhelming fees are just one reason. GPR, or general purpose reloadable cards, are growing in use. 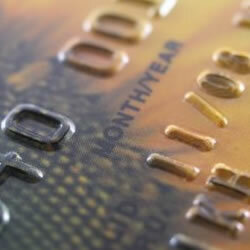 More than seven million American consumers are carrying these prepaid debit cards – and the number is rising. They’re convenient and what began as an alternative for those unbanked or underbanked has now become mainstream. They look and work in the same way as our debit cards linked to our bank accounts do, but it’s the differences that the Consumer Financial Protection Bureau is interested in. It announced recently it would begin analyzing the process of defining what rules should apply to what it refers to as “general purpose reloadable” (GPR) cards. The prepaid card market is growing rapidly, with the total dollar value of funds loaded to prepaid cards expected to grow at an average annual rate of 42% from 2010 to 2014. With millions more expected to enter this particular sector, there’s an ever-important need to understand these products are not subject to traditional banking and other federal guidelines other financial products are. That’s about to change, though. These are still the first choice for those who don’t qualify for traditional bank accounts, but it’s the incredibly higher fees that are causing problems and presenting as risky options for consumers who can least afford them. Folks are stretched to the limit and prepaid debit cards can help with a family’s budget with no worries of adding to credit card debt or risking NSF fees. One problem is that some prepaid card companies have offers that cost consumers even if they’re not being used. Basic fees might amount to five, seven or even twenty dollars a month – and even dormant cards could be assessed these fees. Without government oversight, consumers have nowhere to turn. Now, with some of the financial sector’s heavy hitters, such as Bank of America and American Express, the growing popularity is catching the attention of federal regulators. The Consumer Financial Protection Bureau (CFPB or the Bureau) is seeking comment, data, and information from the public about general purpose reloadable (GPR) prepaid cards (GPR cards). GPR cards are a prepaid financial product that have been increasing in popularity and that some consumers now use in a manner similar to a debit card that is linked to a traditional checking account. The Bureau is particularly interested in learning more about this product, including its costs, benefits, and risks to consumers. The Bureau intends to issue a proposal to extend the Regulation E protections to GPR cards. Your comments, in conjunction with other outreach and analysis, will help the Bureau better understand and evaluate any potential consumer protection issues raised by the current design, marketing, and use of this product. This advance notice of proposed rule making (ANPR) asks ten broad questions about GPR cards. The comment period is open from now until July 23, 2012. The biggest complaints consumers are lodging concern what they feel is a basic lack of transparency. There are limitations and of course, the fees. Interestingly, many of these prepaid offers now also come with rewards programs, which is pulling millions of consumers in. Not only that, but some Americans are even ditching their traditional bank accounts in lieu of these prepaid options. The number one reason cited is there are no worries about accidentally writing a “bad” check. Other reasons include the convenience with being able to shop and pay bills online and finally, many see traditional paper checks as an antiquated idea. There are many fantastic programs that aren’t taking advantage of their customers with too many fees or a lack of transparency. Customer loyalty is building for many of these companies which serves not only the company but his customer too. Those consumers who trust the financial entities are far more apt to use other products that company might offer. If prepaid debit card companies are successful in their efforts of being able to report to the credit bureaus, this could mean a massive shift for Americans and the way they spend their money. Because of this, many are wondering if those traditional checking accounts are indeed a thing of the past. After all, parents are no longer accompanying their teens to the local bank branch for the rite of passage of helping them open their first checking account; instead, parents are teaching their kids the importance of online safety and they’re taking the leap with prepaid debit cards. As mentioned, the comment period associated with the Consumer Financial Protection Bureau is open for another 56 days – or until July 26, 2012. You can submit your opinions or thoughts until then as the agency begins to weigh exactly what it should do in order to better serve the American consumer.